WPP's board of directors is set to meet as it awaits the outcome of an investigation into the personal conduct of CEO Martin Sorrell. The board meeting in London was planned long in advance and is set to take place on Tuesday, April 17, when leaders from Group M, the media-buying division, are set to present to the directors. It is thought that Sorrell (pictured above) will attend the board meeting. WPP has said it is business as usual while an independent law firm carries out its investigation into "an allegation of personal misconduct" against the chief executive. Sorrell has said he rejects the allegation "unreservedly." Sources suggest the law firm could complete its probe by April 20, although WPP has given no timetable since announcing the investigation was launched on April 3. WPP’s directors have been in frequent contact by telephone since the allegations emerged and people close to the company played down Tuesday’s face-to-face board meeting. The company has given no detail about the allegations against Sorrell except to say they "do not involve amounts which are material to WPP." The board is said to be considering contingency plans if Sorrell were to step down. There is speculation that two long-serving WPP executives, Mark Read, global chief executive of Wunderman, and Andrew Scott, COO of WPP Europe, could share leadership duties on an interim basis. City observers believe that WPP would want to conduct a full, external search process to find a new chief executive in the event that Sorrell departed. 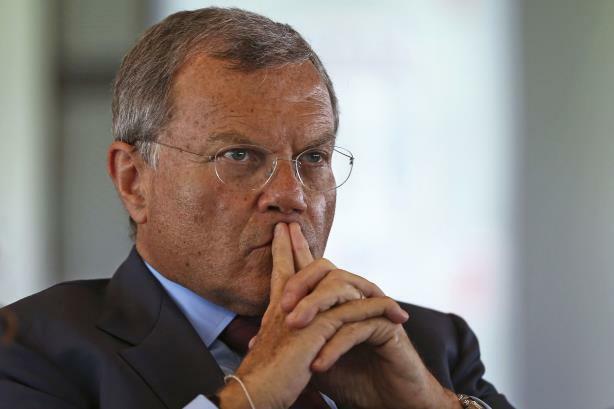 WPP declined to comment on the pace of the investigation or succession planning. The world’s biggest ad group decided to launch the investigation into its chief executive after a whistleblower made allegations. Roberto Quarta, the chairman, and Nicole Seligman, senior non-executive director and an experienced corporate lawyer, set up a board sub-committee to examine the claims through a formal process. Those close to WPP have been keen to play down suggestions of any rift between Sorrell and the rest of the board, noting they stood by him during a series of shareholder revolts over his pay in previous years. Several people who have attended WPP board meetings in the past identified Sol Trujillo, a former U.S. telecoms boss, as a non-executive director who sometimes asked the most challenging questions. WPP enjoyed a strong period of growth from the end of the global financial recession in 2008-09 until the end of 2016. However, revenue growth has hit a wall in the last year as brands do more of their advertising in-house and buy directly from online platforms. WPP’s share price has tumbled by a third from a peak of £19 in March 2017 and slipped below £11 when news of the board investigation leaked. The share price has subsequently bounced, climbing to £12 on hopes that the company might consider major structural reform and a disposal of assets such as its research arm. "As a significant share owner, my commitment to the company, which I founded over 30 years ago, remains absolute – to our people, our clients, our shareholders, and all of our many stakeholders," Sorrell said in a statement after the investigation began. His spokesman declined to comment further.